Although genetic, psychological and socioeconomic factors impacting the risk of kids becoming addicted to drugs and alcohol have been explored using longitudinal and cross-sectional studies, the concept of parental monitoring has emerged recently as the primary focus of substance abuse in children. Experts agree an optimal mix of prevention interventions is required to address substance use issues in communities because they are among the most difficult social problems to prevent and reduce. Drug and Alcohol Prevention Starts with Education. Educating Parents and administrators about the problem and the resources that are available to put prevention programs into action. Preventing mental and substance use disorders in adolescents and young adults is a critical issue. Behavioral symptoms often signal the development of a behavioral disorders years before the disorder manifests itself. 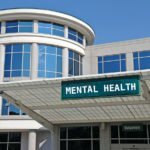 People with a mental health issues are more likely to use alcohol or drugs than those not affected by a mental illness. If communities and families can intervene early, behavioral health disorders can be prevented. Data have shown early intervention following the first episode of mental illness can make an impact. Specialized services shortly after the first episode are effective for improving clinical and functional outcomes. Hazelden is a good resource for educational materials on mental health and substance abuse. When young adults leave home for college or work and are on their own for the first time, their risk for drug and alcohol abuse is very high. Consequently, young adult interventions are needed as well. Research has shown that the key risk periods for drug abuse are during major transitions in children’s lives. The first big transition for children is when they leave the security of the family and enter school. Later, when they advance from elementary school to middle school, they often experience new academic and social situations, such as learning to get along with a wider group of peers. It is at this stage—early adolescence—that children are likely to encounter drugs for the first time. Binge drinking while in college has always been a big problem for most universities. Over the years there is a long history of major drunk partying and risky behavior. “Keggers” and fraternity drinking escapades are legendary. Movies like “back to School” are all about the alcohol drinking insanity at college. According to this recent study at the University of Buffalo, being made aware of the cancer risks associated with heavy alcohol consumption was proven to be a major deterrent to binge drinking. “Preventing children from starting to smoke is important to avoid a lifetime of addiction, poor health, and social and economic consequences,” said Professor Philip Baker from QUT’s Institute of Health and Biomedical Innovation. The findings in the Cochrane Library of the Cochrane Collaboration, discovered family intervention reduce the rate of young people starting to smoke. A study by Canada’s University of Calgary and QUT into the effectiveness of family-based programs has found these programs can be highly effective in stopping children from taking up smoking. The findings have just been published in the Cochrane Library of the Cochrane Collaboration, a world-wide independent network of health practitioners, researchers, patient advocates and others from 120-plus countries preparing high-quality information to support health decisions. “Preventing children from starting to smoke is important to avoid a lifetime of addiction, poor health, and social and economic consequences,” said Professor Philip Baker from QUT’s Institute of Health and Biomedical Innovation. Pay attention to who your child chooses as his friends and take the time to get to know these friends–as well as their parents. Although it’s important to a child’s sense of independence and self-esteem to have a certain amount of free time, don’t let your children have too much of it. Get your kids involved in community and after school activities until they are old enough to work part-time or get paid to babysit or mow lawns. It is essential for parents to remain consistent when enforcing rules and enacting consequences for not following rules. Failing to make children experience the ramifications of breaking rules just once is enough for a parent to seem much less authoritative and sincere to an impressionable preteen. If prescription medications and alcohol are kept in the home, parents should check these items daily to ensure they have not been tampered with or used. Staying upfront and honest with your child about substance abuse means staying upfront and honest with yourself. Parents in denial about their child’s drug or alcohol problem may be destroying their child’s future as well as their own. Talking with your child if you suspect they are using drugs or alcohol, don’t confront. Incited by anger and disbelief, confrontations only succeed in making a child feel abandoned by their parents and alone with their problems. Alternately, a calm, rational discussion is sustained initially by curiosity and then maintained by a compassionate, caring attitude towards the child by the parent. In fact, parental monitoring appears consistently in theoretical models concerning the evolution of substance abuse and antisocial behavior in preteens and adolescents. Research strongly indicates that children of parents who fail to adequately monitor them tend to abuse illegal substances, skip school and “hang out” with peers who also use drugs, alcohol and tobacco. In addition to giving children a clear set of rules about whom they can befriend, where they go and when the must be home, parents also need to actively monitor their children’s behaviors and activities. Fearing hostile reactions by establishing acceptable ground rules for their children should not deter parents from being the “uncool” parent. A fascinating study conducted at Dartmouth Medical School involved 120 children between the ages of two and six “shopping” for their Ken or Barbie doll. Researchers gave the children a store stocked with various grocery items, including beer, cigarettes and wine. Told they could “buy” whatever they wanted, these children bought alcohol (61 percent), cigarettes (28 percent) and food. Children of parents who smoked were four times more likely to purchase cigarettes. Children of parents who drank at least once a month were three times likely to buy beer or wine. In addition, this study found that “children who viewed adult-content movies were five times more likely to buy alcohol”. Parents do not have to be perfect role models but they must realize how much of an impact their actions have on their children. If a parent lectures repeatedly against the “evils” of illegal drugs and alcohol to their child but drinks or smokes marijuana, those words are meaningless to that child. Actions matter, not words. Intervening early to minimize risk factors typically affects a significantly greater impact on changing the bio psychosocial development of a child than later intervention. While these risk factors affect children and adolescents of all groups, they also exhibit disparate effects depending on the child’s ethnicity, age, culture and gender. 97,000 college students reported cases of sexual abuse because of alcohol use.